COLUMBIA, SC (WIS) - Get ready for cooler weather to move into the Midlands over the next several days. 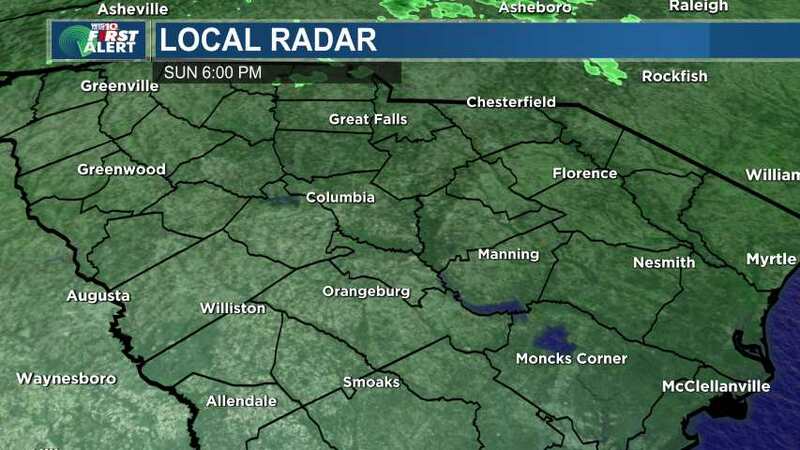 · A few lingering showers are possible tonight. · Highs on Wednesday will cool back into the low 60s under a mix of sun and clouds. 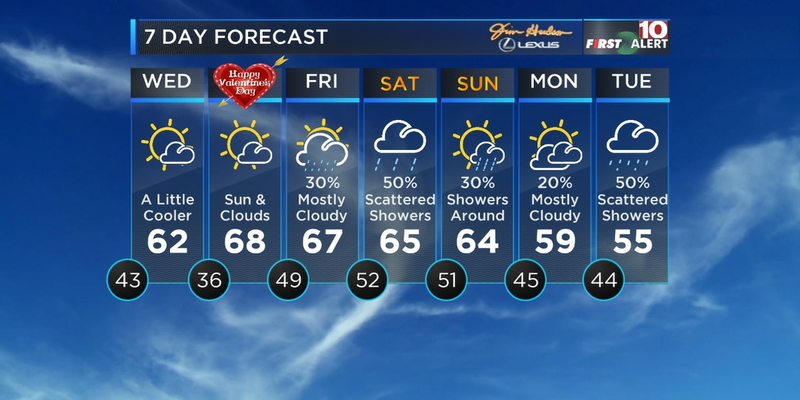 · Valentine’s Day (Thursday) will bring mostly sunny to partly cloudy skies. Highs will be in the 60s. · More rain moves in late Friday into Saturday. 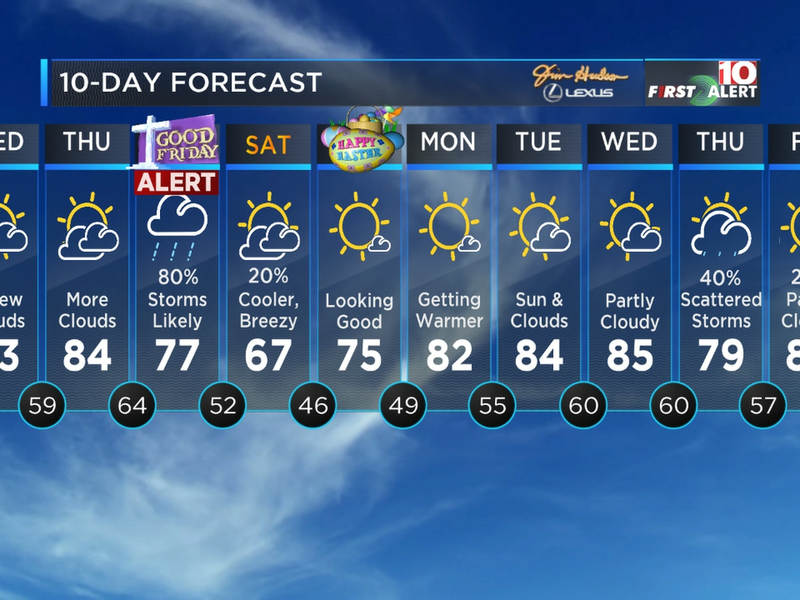 A few showers are possible on Sunday. 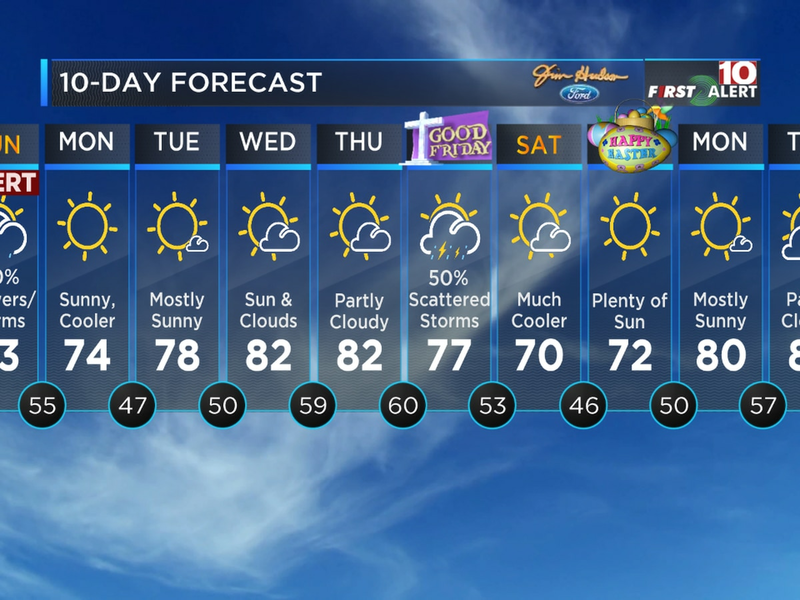 · Temperatures sink into the 50s early next week. As we move through your Tuesday night, a cold front will push most of the rain farther to our east, giving us mostly cloudy skies. A leftover sprinkle or shower is possible though. Overnight temperatures will be in the 40s and 50s. Winds will still be gusty from the west from time to time tonight. With the front well to our east by Wednesday, high pressure will build in. This setup with deliver a mix of sun and clouds to the Midlands. High temperatures will cool into the lower 60s. Our winds will be breezy at times Wednesday, blowing in from the west between 10 and 15 mph. Valentine’s Day will be great! We’re expecting a mix of sun and clouds. Clouds will also be around by the evening, but no rain is in the forecast. Highs will be in the mid to upper 60s. Another weather system moves into the area Friday into Saturday, giving way to more rain. We’ll likely see a few late day showers on Friday, which will continue into part of your Saturday. We haven’t declared Alert Days for that time period, but we’re keeping an eye on the models. Highs will be in the mid 60s. Even cooler weather settles in early next week, with highs in the mid to upper 50s Monday and Tuesday. Tonight: Mostly/Partly Cloudy. Showers Move Out. Breezy. Overnight temperatures in the 40s and 50s. Winds: W 10-15 mph. Wednesday: Sun and Clouds. Cooler. Breezy at times. Highs in the lower 60s. Winds: W 10-15 mph. Valentine’s Day: Sun and Clouds. Mild. Highs in the mid to upper 60s. Winds: SW 5-10 mph. Friday: Mostly Cloudy. Showers Possible (30%). Highs in the mid to upper 60s. 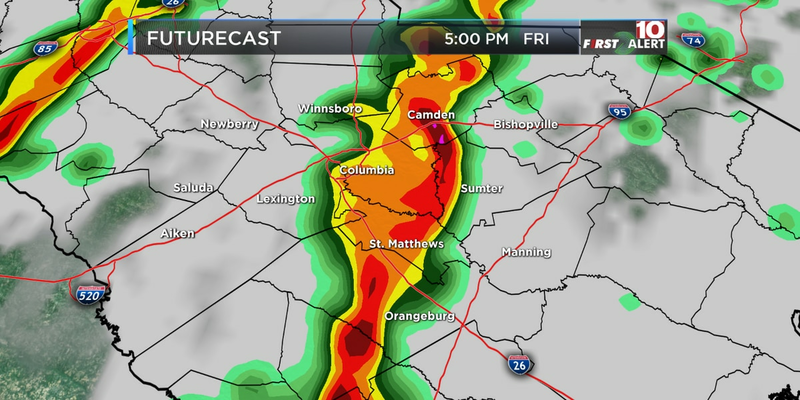 Storms could be strong to severe for your Friday! In fact, Friday is an Alert Day.